While the non-car interested members are currently imploding over the symbolism-charged music video dropped by hip hop artist Childish Gambino (Aka Donald Glover) a few days ago, we couldn't but help get caught up on the fact that the dude appears to have a serious appreciation for '80s and '90s Toyotas (mixed in with couple '80s Caddys, a '70s Lincoln Town Car, and an unidentified pickup). It ain't a new theme in music videos, with names like Biggie, NAS, School Boy Q, Tupac, and Action Bronson having documented interests in Japanese cars, but it's one of the first instances of so many classic Toyota steel in one place — especially when at time of writing the video is sitting firmly at the #1 trending spot on Youtube. 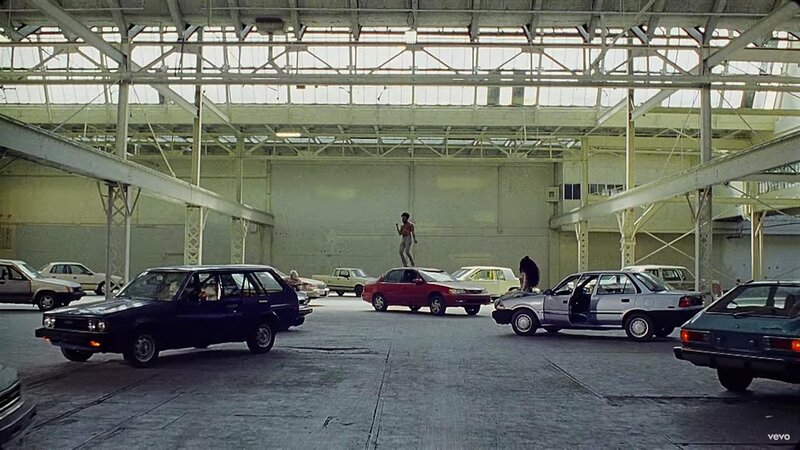 What other music videos can you find that are packed with sweet cars that mean nothing much to your regular viewer? Let us know.